an experience of truth and hope..
a slave lives as her limited self..
in and of eternal consciousness..
the father names that consciousness..
Speaker: Arthur J. Dewey (Th.D., Harvard University) is Professor of Theology at Xavier University in Cincinnati. A distinguished teacher, writer, translator and commentator, he is the author of Inventing the Passion: How the Death of Jesus was Remembered and co-author of The Complete Gospel Parallels (with Robert J. Miller, 2011) and The Authentic Letters of Paul (with Roy W. Hoover, Lane C. McGaughy, and Daryl D. Schmidt, 2010). Dewey’s poetry has appeared in Christian Century and his poetic perspective aired on the Saturday Morning Edition on Public Radio Station WVXU (91.7) in Cincinnati for more than a dozen years. Description: Utilizing a selection from John 8 and Matt 5, we will explore who the historical Jesus is and what he might have to say about our world today. 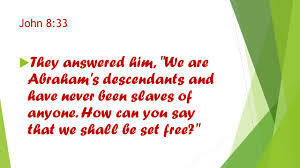 34 Jesus answered them, “Let me tell you this: everyone who commits sin is a slave. 35 No slave is ever a permanent member of the family; but a son is. 36 So if the son liberates you, you’ll really be free. 39“ Our father is Abraham,” they repeated. 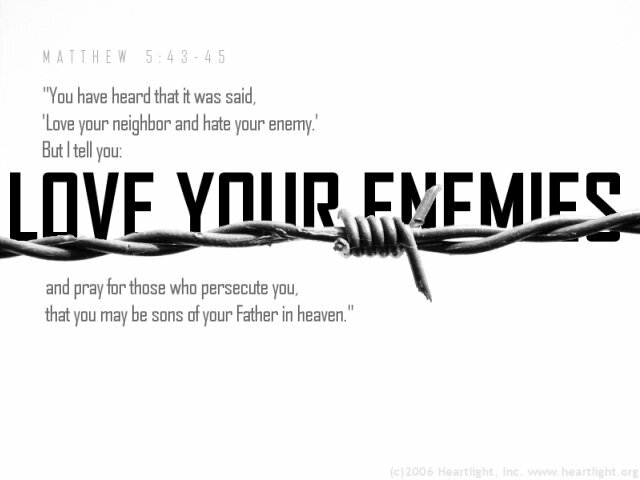 "As you know, we once were told, `You are to love your neighbor' and `You are to hate your enemy.' 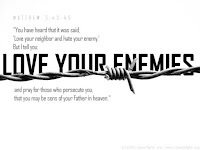 44 But I tell you: Love your enemies and pray for your persecutors. 45 You'll then become children of your Father in the heavens. <God> causes the sun to rise on both the bad and the good, and sends rain on both the just and the unjust.